For the past two years’ proving ROI for marketing was all the rage in every conference (as if it was suddenly new) but it surely became more popular. 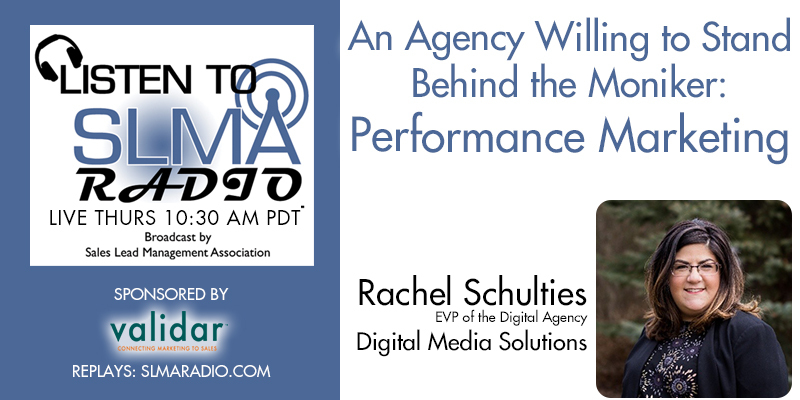 In this interview with one of the nominees for the SLMA’s annual 20 Women Leaders in Business, Rachel Schulties, we discuss the definition of Performance Marketing which we suspect is entrails a broader definition that just measuring ROI. 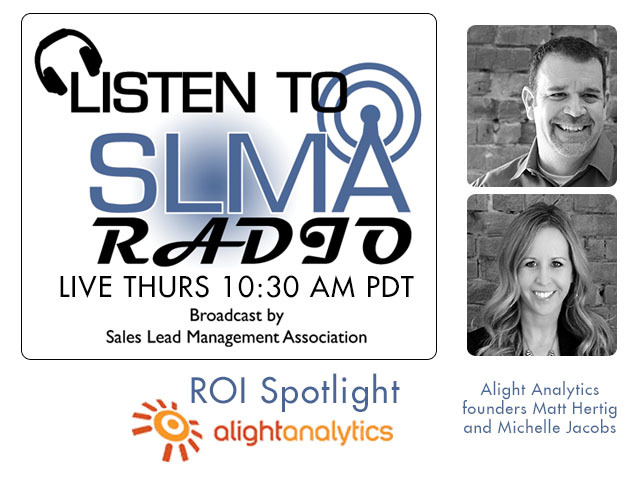 Not every company can truly articulate an ROI story. 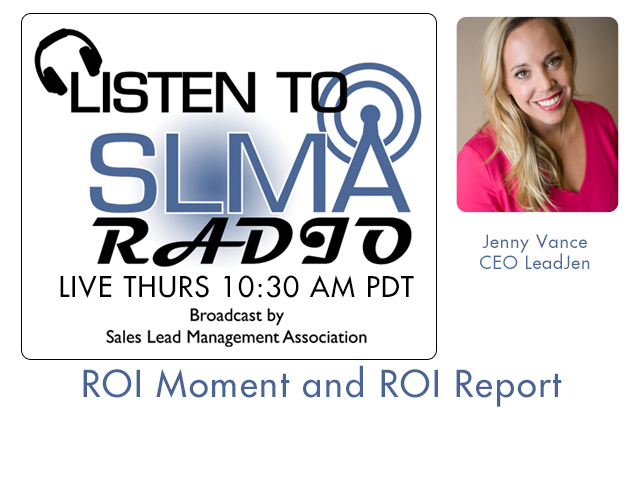 Hear Jenny Vance, CEO from LeadJen nail down how LeadJen gives a return on Investment from her clients. Jenny Vance has over 10 years of experience in helping companies market their products and services. That experience helped Jenny develop a set of best practices for outbound marketing, inside sales, appointment setting and lead nurturing. Under her leadership, LeadJen works with B2B companies across North America, Europe and Australia seeking to improve their marketing programs and develop successful sales leads. How channel management software delivers a measureable ROI. Many will say channel management has gotten short-shift in the software field where management of reps using CRM systems gets most of the attention. And yet, the management of these channel partners is increasingly important in an increasingly in-personal world. 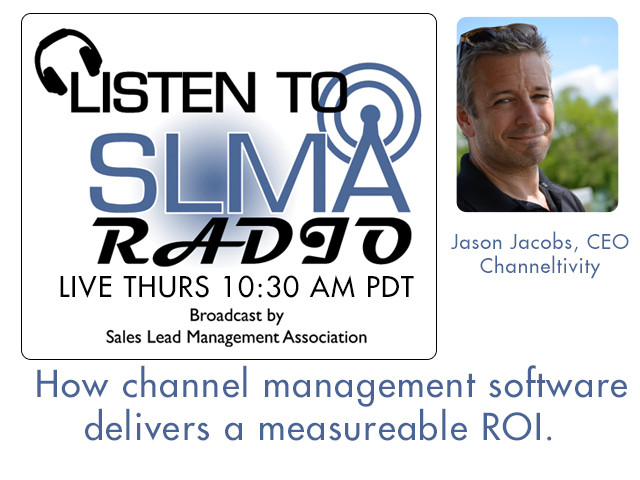 SLMA Radio host Jim Obermayer will interview Channeltivity CEO Jason Jacobs as they discussion Partner Relationship Management (PRM) and ROI benefits. Jason Jacobs is a serial entrepreneur, visionary leader and seasoned high growth startup CEO specializing in launching technology and technology enabled services companies.Founder and President of The Verge Group, a consultancy that Identifies Potential and Accelerates Results in early stage companies, Jason focuses on Emergent Strategy and Agile Organization Practices for high growth and restarting growth. Jason has assembled a team of some of the best business minds in the world in areas of Strategy, Top Management Team Dynamics, Organizational Performance, Organization Network Analysis, Information Technology and Seed/Venture Finance. Jason is an active board member of Entrepreneurs Organization, a global organization of over 7500 business owners representing the top 4% of businesses worldwide. New Business Strategies is a business strategy consulting firm focused on helping B2B technology companies build profitable, sustainable customer relationships. We help clients create larger and more predictable revenue pipelines by understanding the customer’s lifecycle, expectations and decision-making process and aligning the organization with its customers. 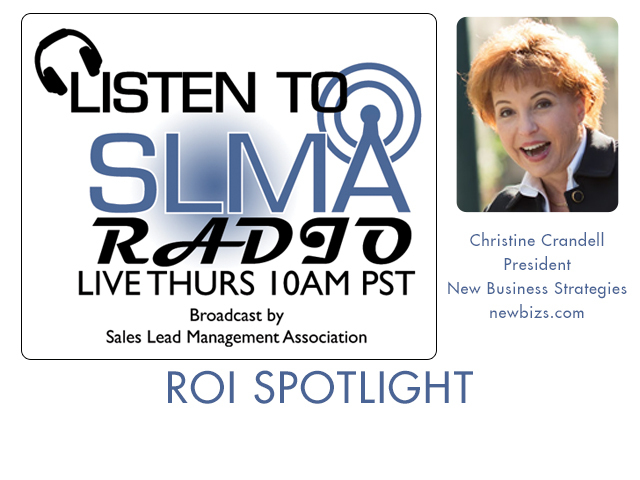 Jim Obermayer interviews New Business Strategies' President, Christine Crandell for a discussion on ROI. Patrick McClure is a Proven Sales Manager and Executive with the ability to quickly determine critical problems and their root causes. His 25 year corporate career includes direct sales in excess of $100 million in products and services and management of multiple high performance teams. Jim Obermayer has known Pat for 8-10 years. 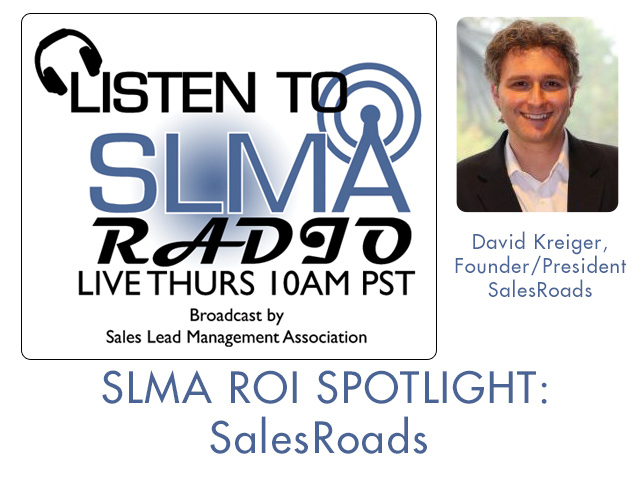 He's a real refined sales consultant, author and so much more than that. 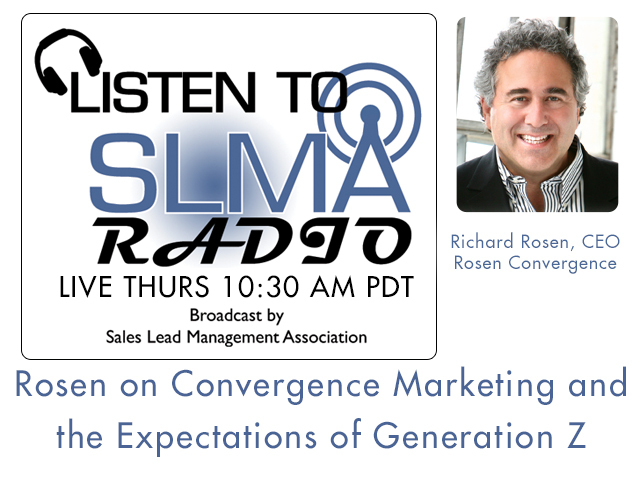 His focus: How do we increase the performance to increase the output of sales organizations? To achieve that, 10 years ago, he started his own firm completely focused on accelerating sales performance and sales management. Jim asked, "How do you increase output?" since THAT is his primary statement of value that he will increase output. Patrick replied, "I have a very good diagnostic tools of what is wrong." 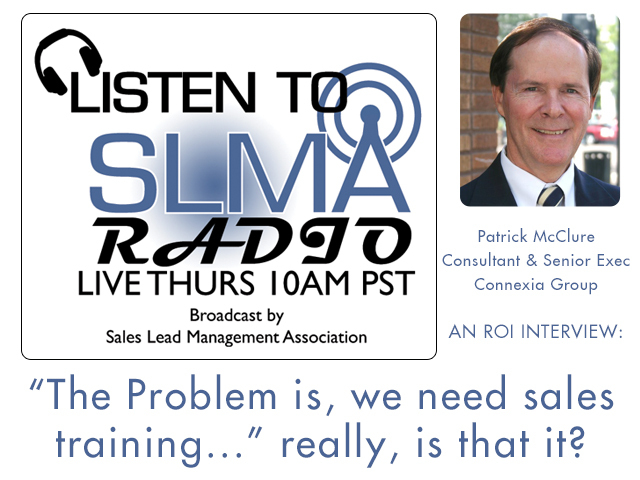 He usually gets called in on the premise that the sales people cannot sell. But when he gets there he usually finds there are other problems. It's a multi-faceted series of problems: problems with marketing, value proposition, lack of training by sales management or sales. He gets to the true bottom of the issues and puts tools in place to fix the real problems. Conflict between inside sales force and outside sales force. Couldn't figure out what was causing the millions of dollars of revenue lost due to the conflict. Sales process says that when a customer calls in to order, the inside sales team would just take the order and stick it in the file. They would not take the additional step of informing the outside sales person. The orders were delivered into the field, but the outside sales person had no idea nor any way to follow up. The results he told them, "Looking at the files in this room, there is $20M additional in sales that you don't even know about." He proceeded to set up notification for outside sales to be notified. He then put in training for inside and outside of how to follow up. This resulted in a 30% increase in revenues. Jim observed, "So many times everyone knows what's going wrong but not how to fix it. " 05:00 - Let's train the sales people! Looking at Connexia Group's website. What else can you do for companies? 05:23 He gets called in to find a solution. 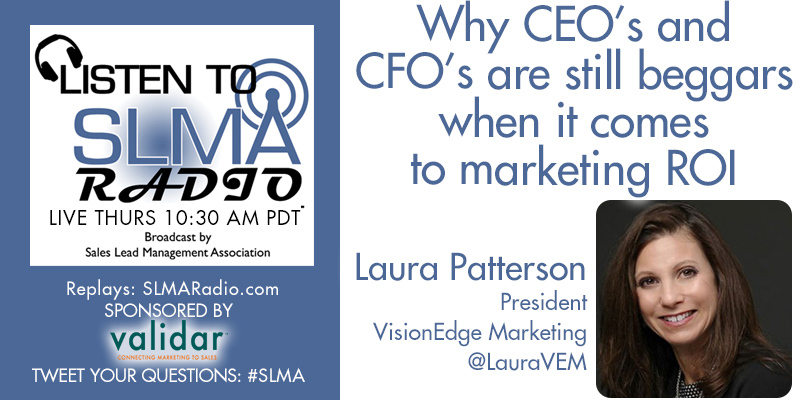 Frequently, a CEO says, "The problem is, we need sales training...." Based on experience, he increases the depth of the initial investigation, "Let's talk about they don't know how to close, value proposition, sales process, target market, marketing..." all of this stuff comes together and the synergy affects the outcome. The team needs to function together. Of course the sales people won't be able to sell if this is not in place and they'll be blamed for the problem. He also offers business planning and business development. The formula was that in place for a firm for 15 years was VERY successful New recruits went through a 6 month training - the resulting plan was they made:600 calls, they'd get 10 appointments, resulting in 2 deals. Then the financial meltdown occurred. No more buyers and sales completely changed. What he found through analysis is that the critical problem was that they were 100% dependent on one sales strategy - the phone. As a result they were failing. He put together a program of 10 different ways to acquire a client without the phone. He trained sales how to do that and deals took off like a rocket. One team of 25 sales people experienced a quick 10-20% growth. Jim asked, "How do you approach these engagements?" Patrick responded with his typical method, "I propose initial engagement - gap analysis - that takes about 3-4 weeks - I charge a flat fee for that. Then, I come back with findings and recommendations. It may result that it is a match or not." If it is a match and some of the needs are outside his area of expertise, he brings in affiliates and manages the project. Average start up engagement for gap analysis - between $5000 and $10,000 - 30-40 hours of his time. This results in an in-depth report of what's wrong, plus recommendations of how to fix it. Sometimes he goes in and reshapes sales for several months and then replaces himself with a new VP of Sales. 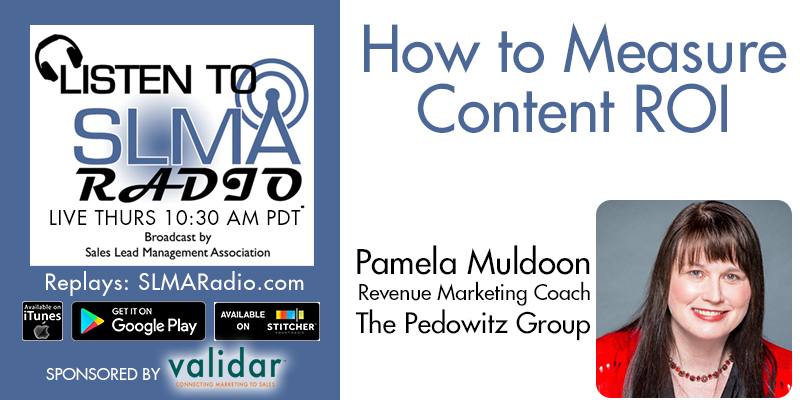 Patrick is a keynote speaker - loves to speak on topics of sales, sales optimization, management diagnostics, customer service and is a distinguished speaker with Toastmasters International. 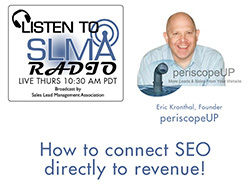 Why is there so much lip service and so little action in Marketing ROI Reporting? 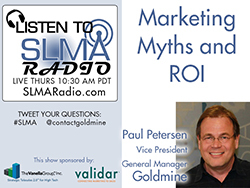 Is there really a marketing ROI? Ruth P. Steven's tells the truth!"